Congratulations! You have a signed contract! Now What? It is time to hire an attorney. 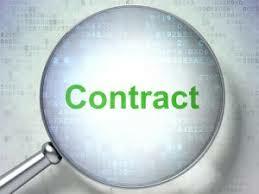 It is recommended that both parties have an attorney to protect and advise to the legality of the contract. The process typically takes three days. During the three days, the attorney will make changes to the contract. Most contracts contain a clause that allows for inspections to be made giving the seller the right to cure defective items that may be revealed. Another clause in the contract is the mortgage commitment date. This is an agreed upon date in which the financing must be secured by the buyer’s lender. Once both parties agree to the terms of the contract, attorney review is concluded. How much does an attorney cost? The fees range between $1200 and $1500. Go to BeatriceBloom.com and take a look at my recommended vendor list.